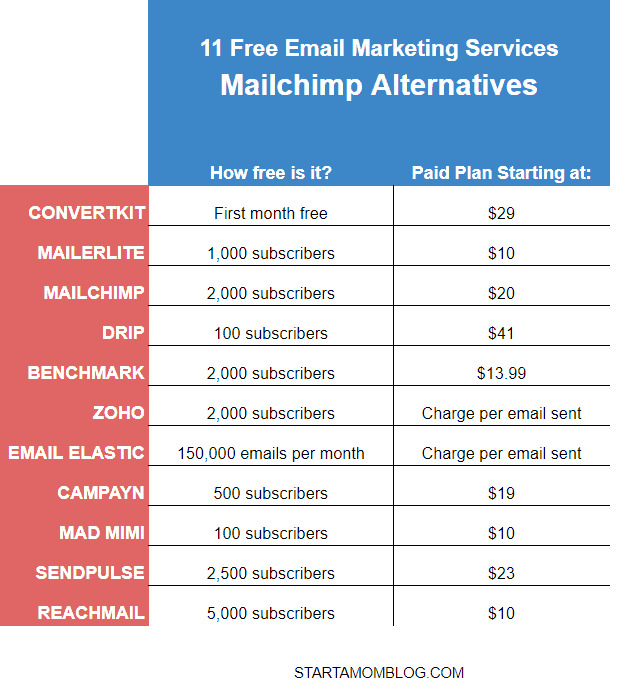 So many times I’m asked about the options available for Mailchimp alternatives or other free email marketing services. While many of you know I’m a huge supporter and affiliate of ConvertKit, I am also aware that there is a fee associated with the use of that email marketing platform that many people don’t want to start paying quite yet. Fees may not be fun, but if you are wanting to start an email list to stay in contact with your audience, it’s important to find a mass email service that will fit your needs. 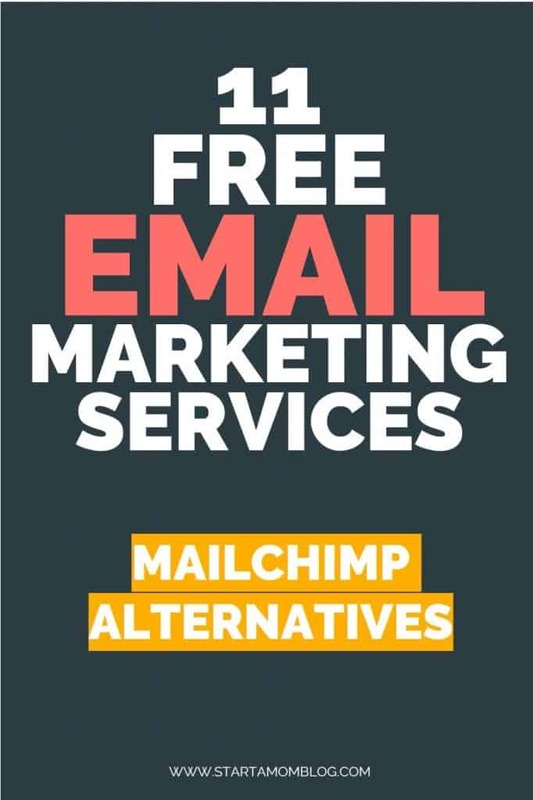 If your on the hunt for Mailchimp alternatives or another free email marketing service, rest easy knowing that there are options out there and available! All it takes is a bit of time and research and you can find the email automation service that you’re looking for. Or if you found this blog post, you’re in luck, because I just did the work for you! 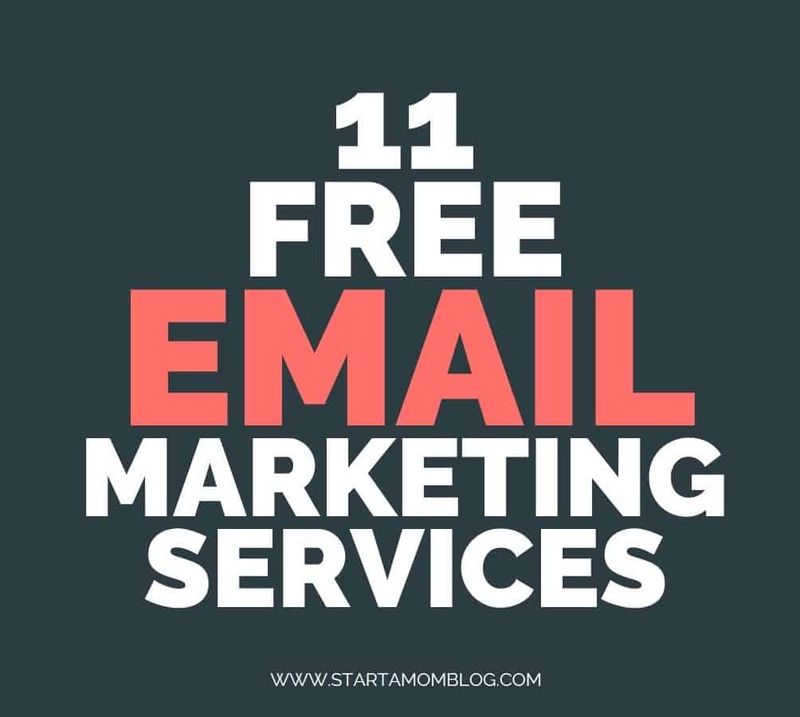 I’ve included 10 suggestions for free email marketing services that anyone can use! Please keep in mind that many of the software services I showcase below have limits to their free plans, so be aware. Here is a high level overview of the services for your convenience. Save this chart or pin it to Pinterest so you know which email service to sign up for! I use and love Convertkit. I’ve been using them since May 2016 when my list grew to over 1,000 and I knew I needed more capabilities than the free program I was using at the time. The biggest contributing factor to my income per month is the size of my email list. There is a direct correlation between the growth of my email list and the growth of my monthly income. COST: Convertkit is free for the first month if you use my affiliate link to check it out. After that it is $29/month for up to 1,000 subscribers. 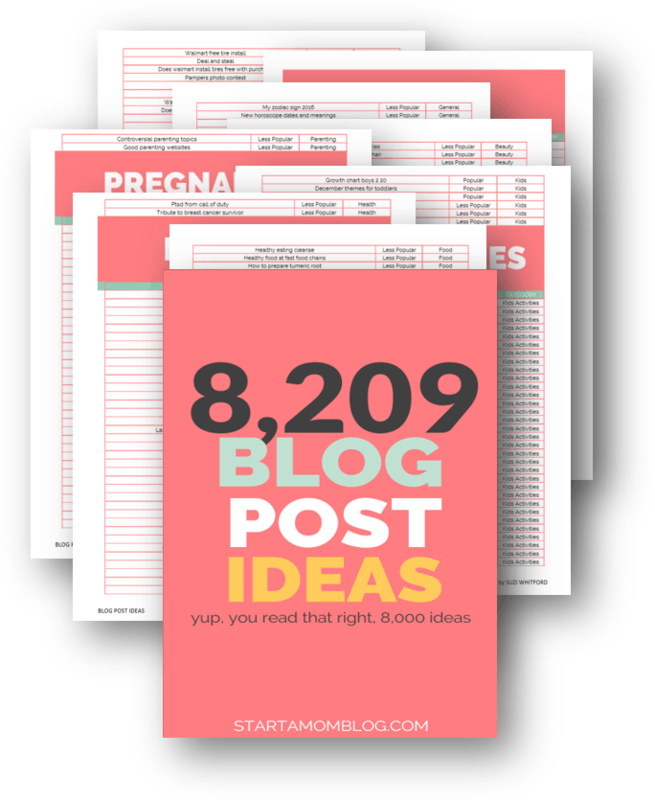 Simple to use and advanced enough to turn your blog into a business with tagging, automations and sequences. Only free for the first month. MailerLite makes it super simple to send emails with a drag and drop option that anyone can use. COST: FREE plan of up to 1,000 subscribers free with no limit on the number of emails being sent. Once you need more, prices start to vary on your needs. Constant Contact is a powerful email marketing software made simple. It’s a fantastic choice if you’re an ecommerce store and need beautiful templates and well designed emails. It also integrates well with Facebook, WordPress, Shopify, Quickbooks, Salesforce, Outlook and Hootsuite. They’ve been around for over 20 years, so you’re in good hands. They have a 60 day free trial and beginning plans start at $20 per month. Test out Constant Contact today. Everyone loves the little monkey, right? MailChimp is actually one of the most popular options that many people use to create their email newsletter with ease. I had to include it in the list so that an accurate comparison can be done. Drip is a great option to have because it offers amazing features and a great support system to help you through all the questions that may arise. COST: Their monthly free option gives you unlimited emails to send out to up to 100 subscribers. If you’re looking for a simple platform that allows you to stay in contact with your followers, Benchmark may be a great option for you. Their platform is so easy that it’s possible to design your newsletter in less than 15 minutes. COST: Free plan allows you to have up to 2,000 subscribers and send out 14,000 emails/month. Once you surpass those numbers, they have options to upgrade to plans starting at $13.99/month. Zoho makes it easy to reach your followers and clients with ease. Their platform allows variety to be added as well and gives you the chance to be creative. COST: Free plan allows you to send 12,000 emails per month to up to 2,000 Subscribers. If you need a larger package option, you can choose to pay by email, by subscribers to better suit your needs. No matter what size of email list you need, Email Elastic has you covered. With an easy to use interface (no coding needed!) you can create your own email templates with ease. COST: Their free plan gives you 150,000 emails per month, absolutely free. If you happen to need more than this, they do start charging per email that you send. Campayn gives instant access to dozen of easy to use email templates and allows you to import your contact list with ease. COST: Free for 12,500 emails to send to 500 subscribers and does include one autoresponder option as well. Other pricing starts at $19/month. With easy integration and a ton of great templates, Mad Mimi makes it extremely easy to send emails quickly. COST: You can send emails to up to 100 contacts per month, and unlimited emails to them each and every month. If you need to send to more than 100, the next tier starts at $10. While this may be one of the newer email marketing software available, they are giving the other options a run for their money! Easy to use and packed full of great features, SendPulse may be a great decision for you and your business. COST: If you have less than 2,500 subscribers, sending up to 15,000/month is free. After that threshold, the pricing starts at $23/month. Reachmail is a wonderful tool for being able to send a lot of emails at once to your subscribers. With a ton of templates to choose from, you’ll have the capability to really focus in on how you want your email to look. COST: Free to send up to 15,000 emails/month to up to 5,000 varying subscribers. Once that limit is reached, the next plan option starts at $10/month. Which Free Email Marketing Service Is Right For You? While the 11 options listed above are great ways to reach your audience without having to spend a ton of money, it’s important to still do your research to find the email marketing platform that’s right for you. Compare prices, features, and included options to make certain that anything and everything that you want is covered. There’s nothing worse than starting with an email option to only find out that you’re going to have to switch everything to another choice in the near future. If you can plan ahead and know what you are going to anticipate needing, it can save you time and energy in the long run. Before you decide on what type of plan you are going to need, think about the future uses that you plan on needing to create an email list for. Are you going to create printables to entice readers to subscribe, will you be creating courses and need robust integrations, and do you want your email service to help you build automatic funnels to increase sales? Whatever your current need is, remember that the need is going to grow. Starting out with one of the free plans now is a great option, but it’s important to think long-term as well. Find an email platform that you can transfer and transition seamlessly when you do need a bigger plan. You’ll be so thankful that you do! And one other tip that I want each and every one of you to remember? Always, always, always set up an email for yourself that uses your domain name. While the email accounts at Gmail or Hot mail or Yahoo may be popular, they are notorious for heading straight to spam. If you are only getting so many free emails to send to your subscribers, do you really want a large portion of them heading straight to your subscriber’s spam box? Absolutely not! Instead, set up an email with your domain name. It won’t filter the same way as other spam mail does and there’s a good chance that it will be sitting and waiting in your subscriber’s inbox when they check their email in the AM. I highly recommend ConvertKit even if you’re starting out. 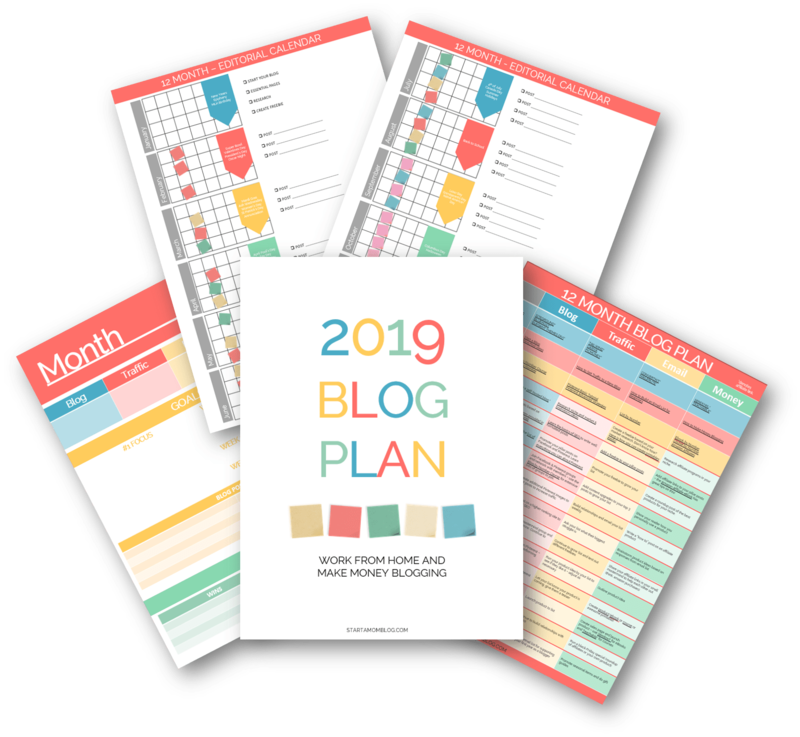 It has helped me grow my blog into a business and I’ve been using it for years. But because options are nice to have, there are different email marketing services that may serve your needs too. 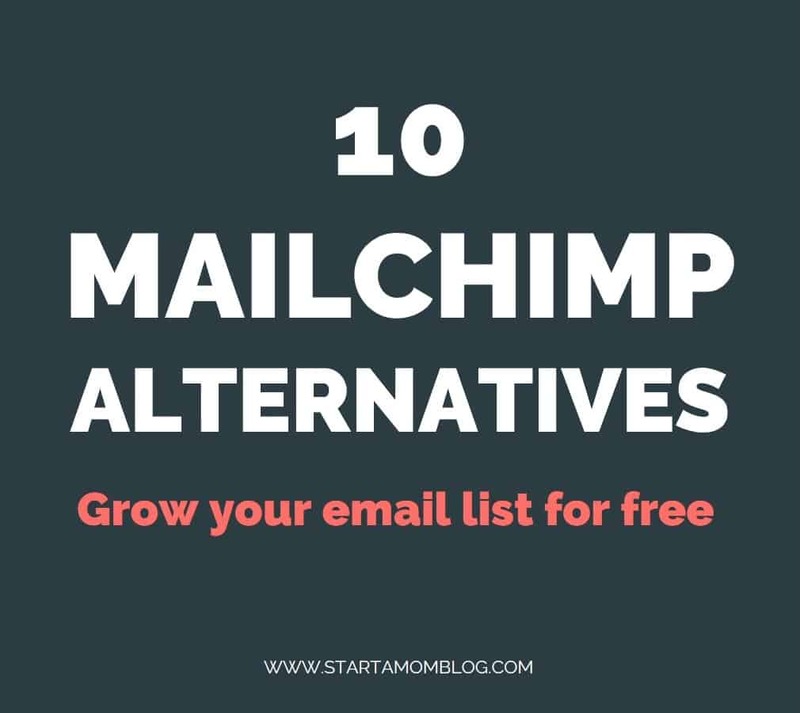 I hope the list above showcasing other email marketing services and MailChimp alternatives help you find the perfect service! Any way that you can find and afford to get your email to your subscribers is always a great choice! Let me know in the comments below, what are you using to build your email list?